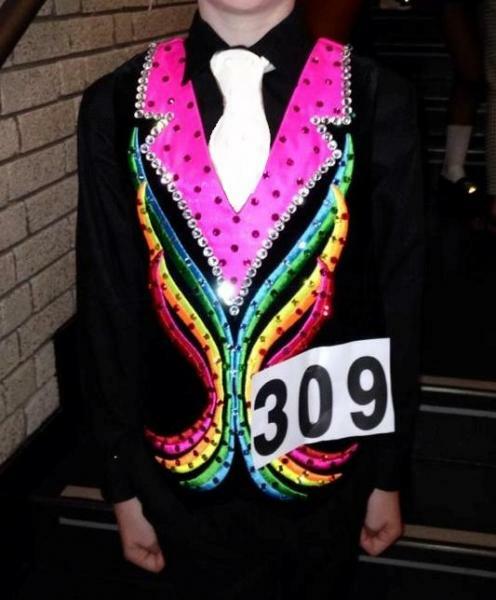 dance.net - Standout World Champion waistcoat - Suit age 9-11 (10240158) - Read article: Ballet, Jazz, Modern, Hip Hop, Tap, Irish, Disco, Twirling, Cheer: Photos, Chat, Games, Jobs, Events! 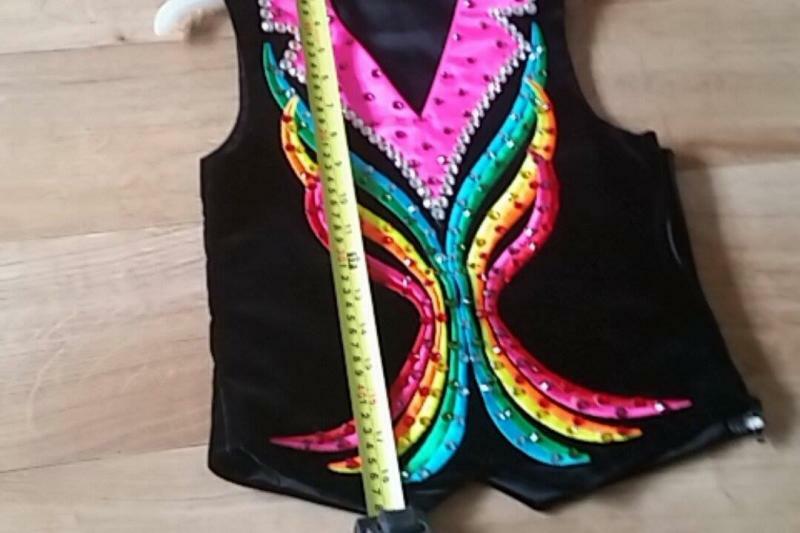 Siopa Rince waistcoat made for and worn by a World Champion. Worn by slim U10/U11. 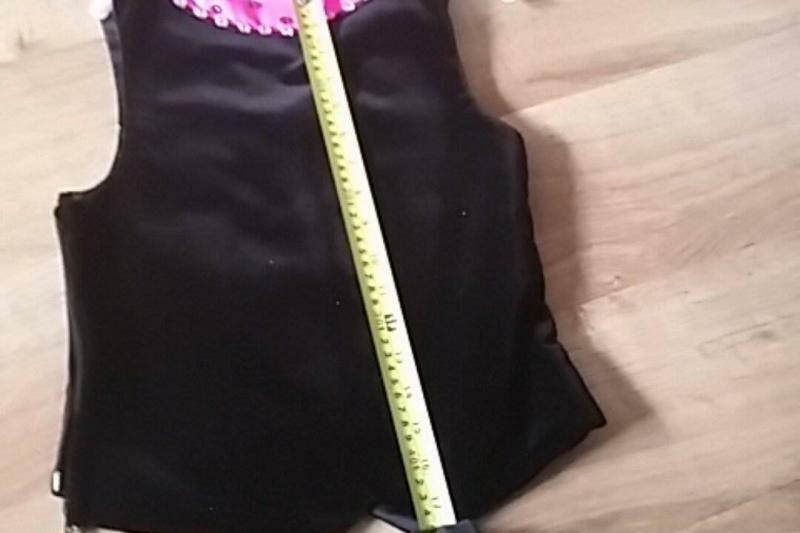 May suit between 8-11 year old boy depending on size. 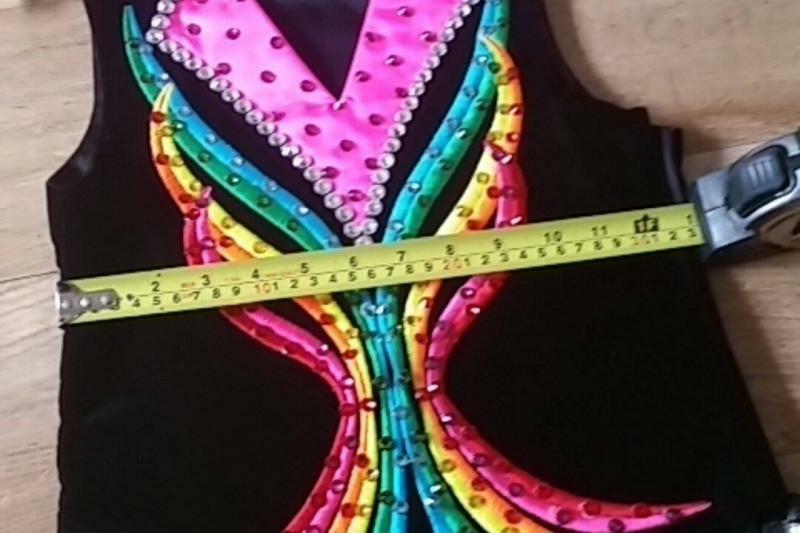 Black velvet with multicolor embroidered design, all colours of Swarovski crystals.